9.5" x11" x 5", 3.5 lbs. Poland's last steel helmet before switching to Kevlar-style materials. Originally introduced in 1967, and serving the Polish Army faithfully until the mid 90's. Manufactured in large quantities during the Cold War, and now found in use by thrifty militaries all over the world. 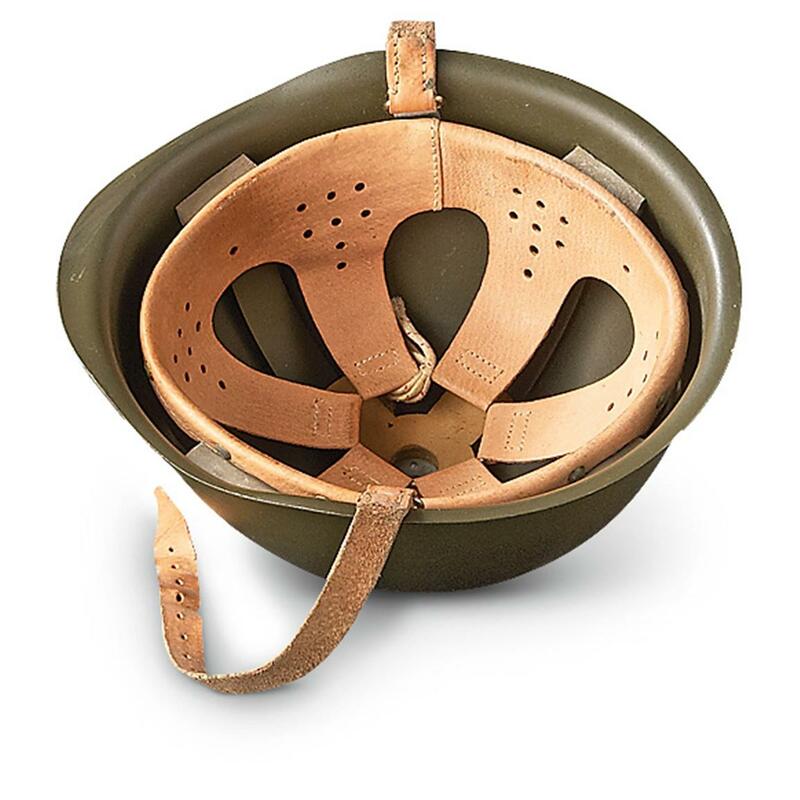 Pre-tested by Polish troops, each Helmet is sure to show unique wear and use patterns. Dimensions: 9.5" x11" x 5"
Polish Military Surplus Wz67 Steel Helmet, Used is rated 4.1 out of 5 by 21. Rated 4 out of 5 by Holmes County Guy from Very nice mil surp helmet for the price I'm very impressed with the overall quality of this helmet. The harness is a lot more comfortable than one would expect. The one I received didn't have the insignia, but that was clearly stated as possible. The only reason I didn't give it 5 stars is that the chin strap is partially torn, which I think SG should have probably sorted out of the units they shipped at the regular price. Rated 4 out of 5 by asjesaj from Fits great Looks good and fits great. Really good price too. Rated 5 out of 5 by TravelerV from Great military collectible! This item appears to be well made. It would be a great addition to your military collection. Rated 5 out of 5 by Alamo 1836 from Great collector's helmet Been collecting European helmets for the last ten years as they convert over to the new Kevlar standard around the world. 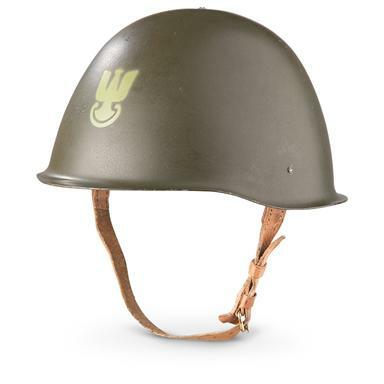 This is a great example of standard steel helmet and it has the neat Polish National Army symbol on it too. Rated 5 out of 5 by Alan from Great product Came as advertised. Nice helmet. Rated 1 out of 5 by kensota from Polish helmet Helmet too small, maybe for child and leather inner rotted out. Red alert on a cool collectible! Just like the heavy-duty original.